Jerusalem, “He saw the city and wept” (Luke 19:41) because of its spiritual blindness and guilt. He knelt in the Garden of Gethsemane and was in “agony…[and] His sweat became like great drops of blood” (Luke 22:44). Don’t confuse happiness with joy. Happiness comes from happy circumstances; joy wells up deep inside our souls as we learn to trust Christ. Joy does not mean that we are never sad or that we never cry. But joy is a quiet confidence, a state of inner peace that comes from God. Life’s troubles will rob us of our happiness, but they can never rob us of the joy God gives us, as we turn in faith to Him and seek His face. Rev. 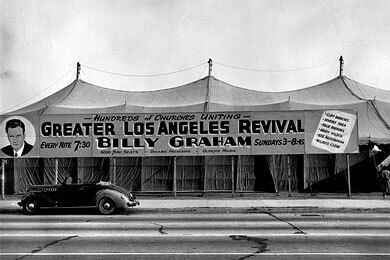 Billy Graham was called to preach the Gospel of Jesus Christ to all the Nations in 1947. Conducting open-air evangelistic crusades, Rev. Graham began preaching in tents and coliseums alike. 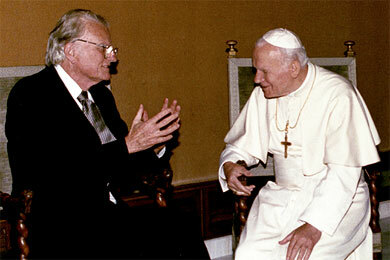 He has conducted more that 400 crusades, across 185 countries and territories and has visited six continents. He is nearing the end of his life, and has continued his mission to love others through Jesus Christ for decades; reaching across boundaries caused by race, religion, ethnicity and politics. 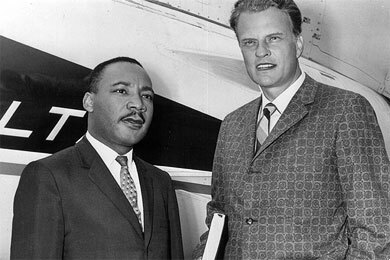 Billy Graham, through the work of the Holy Spirit, has led literally millions of people to know Jesus Christ and give Him their lives and lifestyles. He has been a voice in the wilderness to multiple generations across two centuries. Happy Birthday Rev. Graham. We are blessed that God chose you to be a voice to remind humanity of the hope in Jesus Christ alone! Share with a friend, family, co-worker or someone who just needs to know about the Lord! Blessings.